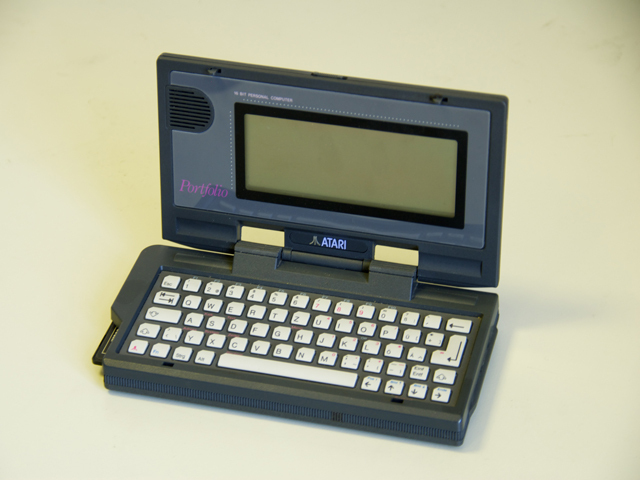 Atari Portfolio HPC-004 was the first palmtop computer. The computer has a battery powered external memory card. 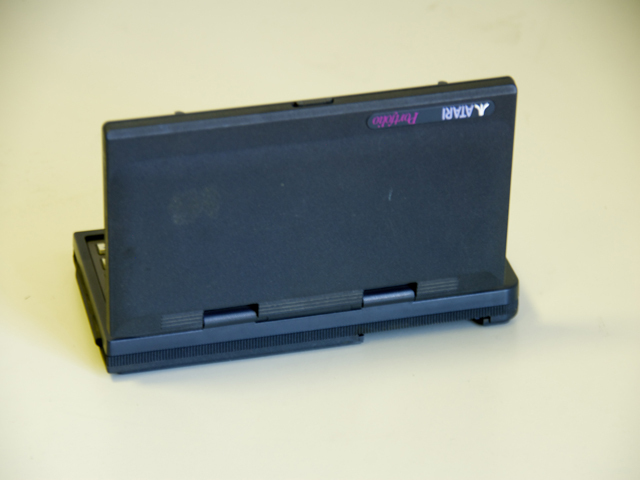 It was presented by the Atari Company and having the size of a VHS cassette and the weight of just few hundred grams HPC-004 became a predecessor of PDAs. The computer is in most aspects compatible with IBM PC that made it universal. With its built-in programs that could be started with the function keys HPC-004 could be used for storing addresses and managing appointment dates, typing a text and processing tables. With external software it could be used for programming, playing games, calculation of taxes and calculations using formulas. The built in DIP-DOS (MS-DOS 2.11) compatible OS made the use of MS-DOS compatible applications possible. As external memory Atari offered memory cards powered with a flat lithium battery (Bee-Cards) with memory capacities 32-128KB.